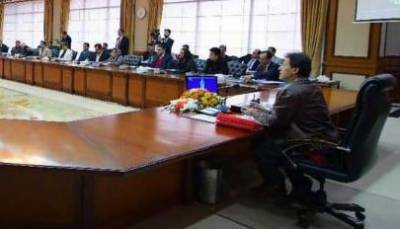 Islamabad (Staff Report/Agencies): The Federal Cabinet on Thursday met under the chair of Prime Minister Imran Khan to review overall economic and political situation of the country. According to sources, besides discussing the agenda items, the meeting deliberated upon overall economic and political situation of the country. Talking to the media after the meeting, Information Minister Fawad Chaudhry said a mobile application will be developed to provide an opportunity to the consumers for checking the prices of essential commodities across the country. Earlier, PM Khan apprised that a comprehensive business plan for the Pakistan International Airlines (PIA) would be ready by March end. A detailed briefing given to the prime minister during a meeting attended by Minister for Aviation Muhammad Mian Soomro, Minister for Finance Asad Umar and PIA Chief Executive Officer Air Marshal Arshad Mahmood, said a press release issued by the PM Office.